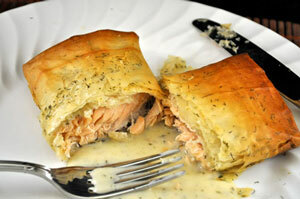 Baked Salmon in Phyllo, Thyme for Cooking easy gourmet dinner. The Salmon in Phyllo is impressive and easy to make. Working with phyllo is not hard, just requires one to be ready and quick. Phyllo can be thawed and frozen twice, and keeps in the fridge - wrapped well in film. 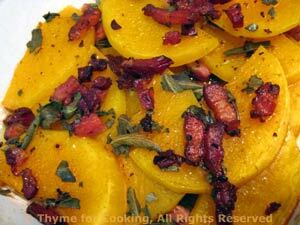 Put couscous and herbs in a medium bowl. 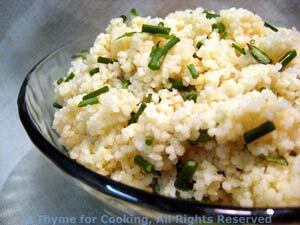 Add oil to couscous, fluff gently with a fork to combine and serve.